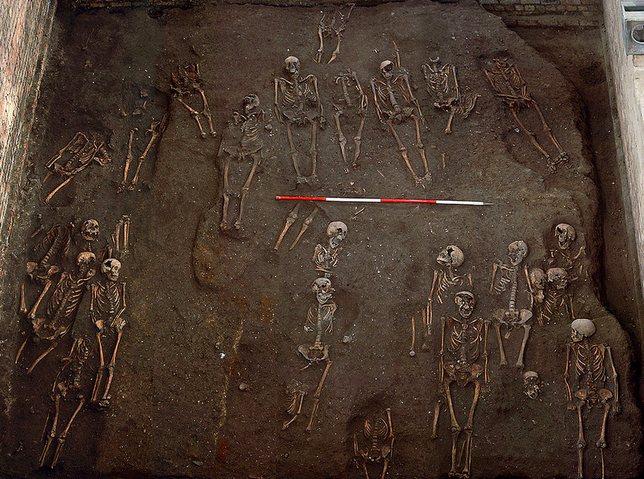 Cambridge hospital graveyard: Skeletons discovered under St. John's College. Bones, Bones, Bones. Bones Everywhere! At St. John’s College in Cambridge, England. Each link in the red and white pole is 50 cm. 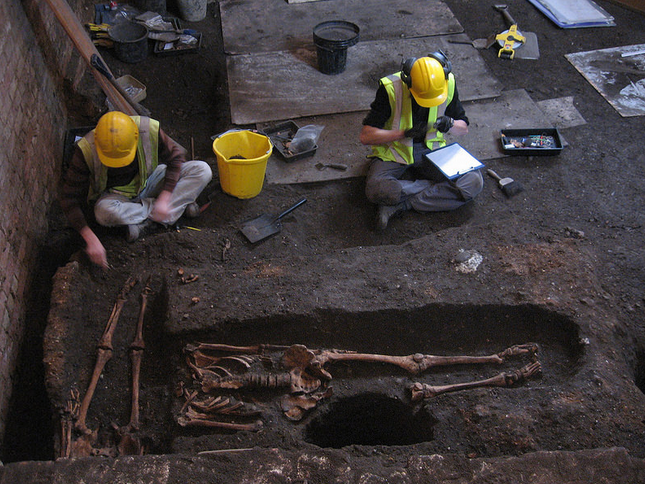 Between 2010 and 2012, archaeologists dug beneath the Old Divinity School at the University of Cambridge’s St. John’s College while the building was being refurbished. What they found was BONES, BONES, BONES. 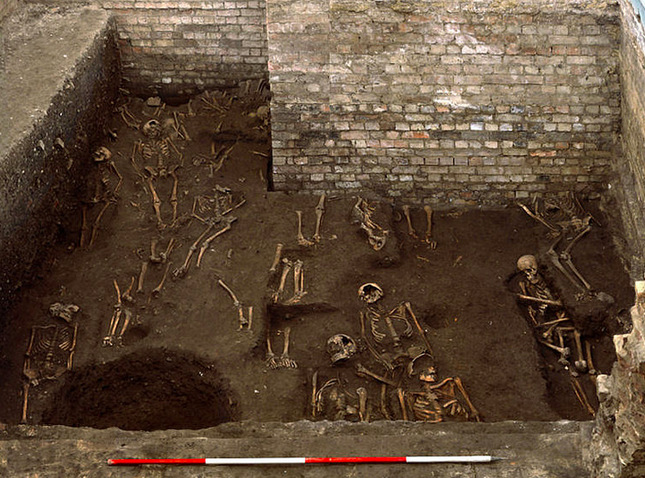 While the existence and location of the cemetery have been known to historians since at least the mid-twentieth century, the sheer scale and extent of the burial ground was unclear until now. 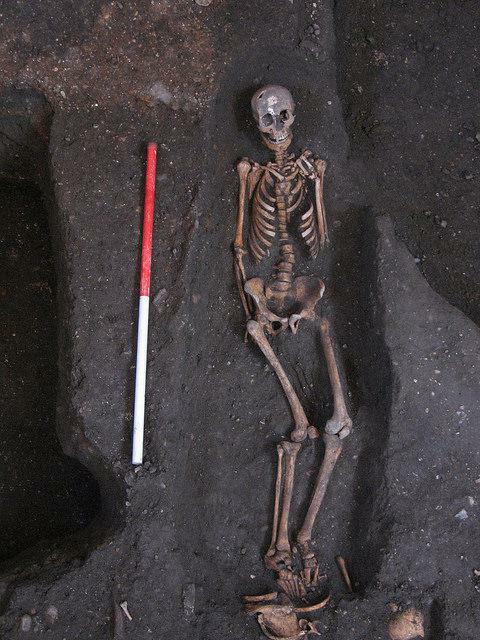 The bodies, which mostly date from a period spanning the 13th to 15th centuries, are burials from the medieval Hospital of St John the Evangelist which stood opposite the graveyard until 1511, and from which St John’s College takes its name. We’ll all end up as bones.